Home / ANIMATED FILMS / MOVIE TRAILERS AND INFO / Watch the Official Teaser Trailer of "Hotel Transylvania 2"
Watch the Official Teaser Trailer of "Hotel Transylvania 2"
Coming this September, the Drac Pack is back! 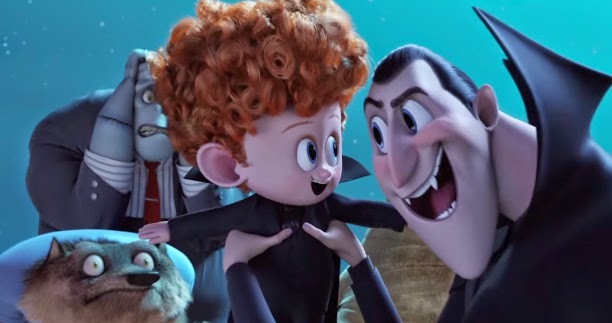 When the old-old-old-fashioned vampire Vlad arrives at the hotel for an impromptu family get-together, Hotel Transylvania is in for a collision of supernatural old-school and modern day cool. Hotel Transylvania 2 is an upcoming American 3D computer animated fantasy comedy film produced by Sony Pictures Animation. It is the sequel to the 2012 film Hotel Transylvania. It is being directed by Genndy Tartakovsky and written by Robert Smigel. The film stars Adam Sandler, Selena Gomez, Andy Samberg, Mel Brooks, David Spade, Keegan-Michael Key, Kevin James, Steve Buscemi and Fran Drescher. The film is scheduled to be released on September 25, 2015, by Columbia Pictures. Watch the exclusive first look at all of your favorite monsters & humans back together in "Hotel Transylvania 2" here.